NBCSN is NBC Sports Group’s dedicated 24/7 linear sports network. Now in nearly 85 million homes, the Emmy Award-winning network is the cable television home of the Summer and Winter Olympics, National Hockey League (NHL) – including two Stanley Cup Final games -- NASCAR, Formula One, IndyCar, Premier League, Tour de France, and America’s Cup. In addition, NBCSN features college football, college basketball, college hockey, cycling, outdoor programming, horse racing surrounding the Triple Crown and Breeders' Cup, Ironman, the AVP Tour and USA Sevens Rugby. The network is also home to original programs such as NFL Turning Point, Pro Football Talk, The Dan Patrick Show, and NASCAR America. NBCSN is distributed via cable systems and satellite operators throughout the United States. Visit http://www.nbcsports.com/ for more information. 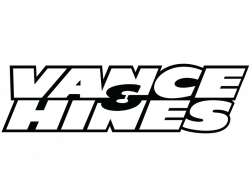 Vance & Hines is an American manufacturer of aftermarket motorcycle performance parts with factories in Santa Fe Springs, California and Brownsburg, Indiana. While we are best known for our distinctive exhaust systems for big twin cruisers, you may be surprised to know that we also make a wide range of parts and accessories for nearly every form of vehicle in the powersports world. The company’s founders, Terry Vance and Byron Hines shared a passion for the quarter mile from the early days of motorcycle drag racing. But they also shared a vision of creating a company that would be a pillar of the motorcycle aftermarket, and they used their unrivaled achievements in racing to build a brand that would unmistakably stand for quality and performance. This same formula drives Vance & Hines today, from our continuing involvement in many disciplines of racing to our commitment to making the kinds of products that get people excited about motorcycling. From metal forming to smartphone-driven electronics, we believe pushing the envelope for design and technology is the way forward. At the end of the day, our goal is not just to make an American-made product, but to create products that inspire motorcyclists around the world. Visit http://vanceandhines.com/ for more information. Visit http://vanceandhines.com/ for more information. Roof Systems is a family owned, professionally managed, and privately held commercial and industrial roofing company. Located in Dallas, Texas, the company specialized in installing conventional Built-Up Roofing, as well as Thermoplastic and EPDM Single-Ply roofing systems. Established in 2010 by owner Jerry Stinchfield, Roof Systems has also grown to include its own in-house sheet metal fabrication shop and full service department. Visit http://www.roof-systems.net for more information. Since 1975, Russ Brown Motorcycle Attorneys Nationwide have been helping motorcyclists injured in motorcycle accidents across the country. Founder Russ Brown was the first in the U.S. to call himself a motorcycle lawyer and created the BAM Benefit Card which offers free emergency roadside and legal assistance for motorcycle riders nationwide. The BAM (Breakdown & Legal Assistance for Motorcyclists) program is a network of over 2,000,000 volunteers in the motorcycling community - riders helping riders – who are willing to help out a fellow rider in need when stranded on the road. For more information on Russ Brown Motorcycle Attorneys, or to join BAM, visit https://www.russbrown.com/. Visit https://www.russbrown.com/ for more information. Dunlop Tires is the largest supplier of original equipment and replacement motorcycle tires in the U.S. With North American operations headquartered in Buffalo, N.Y., Dunlop has been making and selling high-quality tires since 1923. For more information, visit www.dunlopmotorcycletires.com. Visit https://www.dunlopmotorcycletires.com/ for more information. 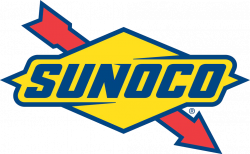 Sunoco, a world leader in manufacturing of premium racing gasolines, is the Official Fuel of American Flat Track. Sunoco, Inc. (NYSE: SUN), headquartered in Dallas, TX, is a leading transportation fuel provider with a network of branded fuel locations in 24 states, and provides American Flat Track with the Sunoco Supreme 112, a premium unleaded racing fuel designed to meet the racing needs of American Flat Track as well as many other high performance racing applications. Sunoco Supreme 112 is formulated for off-road use as a racing gasoline and is available from Sunoco Race Fuels distributors. For more information on this fuel or any of Sunoco Race Fuels’ premium products, please call 1-800-RACE GAS (1-800-722-3427) or log onto www.SunocoRaceFuels.com. Visit https://www.sunocoinc.com/ for more information. Powered by a distinct READY TO RACE mentality, KTM is the world’s leading high-performance Street and Off-road sport-motorcycle manufacturer, with North American headquarters based in Murrieta, California. Over the years, KTM has built a reputation as a fierce competitor on racetracks around the world, and the brand’s remarkable global success is reflected in every product it develops and every move it makes. Visit https://www.ktm.com/us/ for more information. 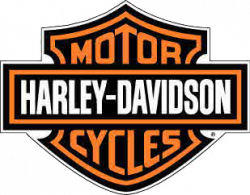 Since 1903, Harley-Davidson Motor Company has fulfilled dreams of personal freedom with cruiser, touring and custom motorcycles, riding experiences and events, and a complete line of Harley-Davidson motorcycles parts, accessories, general merchandise, riding gear and apparel. For more information, visit www.h-d.com. Visit http://www.harley-davidson.com/en_US/Content/Pages/home.html for more information. Visit https://www.indianmotorcycle.com/en-us/ for more information. Visit https://www.catrentalstore.com/en_US/home.html for more information. Hirotake Arai created the first helmet in Japan for his own protection, not just for business. 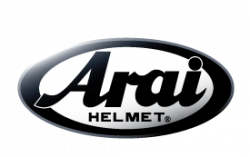 To this day, the Arai company is still owned and operated by the Arai family, driven by the same motivation of superior rider protection that drove Hirotake. Comfort, ventilation, aerodynamics, low weight and low noise are just a few of the benefits most riders look for in a helmet, and of course Arai strives to deliver those things. However, Arai has never forgotten the most import function of a helmet – protection – which is why Arai focuses on The Consistent Pursuit of Gains in Protection. See more at www.araiamericas.com. Visit https://www.araiamericas.com/ for more information. Cycle Gear® Inc. is the country’s largest retailer of motorcycle parts, apparel and accessories. Since 1974, Cycle Gear’s product selection and superior customer service have catered to the needs of motorcycle enthusiasts. With stores nationwide and an e-commerce website, Cycle Gear provides access and unbeatable prices to riders wherever they are. The Cycle Gear team takes enormous personal pride in offering the “Cycle Gear Difference,” which includes our “30-Day, Best Price Guarantee” as well as easy returns, in-store or online, and no restocking fees, ever. Visit one of over 140 store locations in 36 states, or visit us online at www.cyclegear.com today. Visit https://www.cyclegear.com/ for more information. Visit http://www.dainese.com/us/en/home/ for more information. Visit http://bit.ly/2mqd01c for more information. Drag Specialties is an industry-leading distributor of aftermarket parts and accessories for Harley-Davidson® and custom V-Twin motorcycles. We pride ourselves on providing our dealers and their customers with the widest selection of the newest products from the hottest brands. All delivered with superior service. Over 45 years of experience fuels Drag with a common bond to all we serve — a passion for American motorcycles and the open road. For more information visit http://www.dragspecialties.com/. Visit http://www.dragspecialties.com/ for more information. Parts Unlimited is the world’s largest distributor of aftermarket accessories in the powersports industry and is owned by LeMans Corporation headquartered in Janesville, Wisconsin. Parts Unlimited sells to over 12,000 dealerships worldwide and continues to expand its market penetration with its sister companies, Parts Canada, Parts Europe and Drag Specialties. Parts Unlimited continues to promote racing through its campaign WE SUPPORT THE SPORT®, helping to drive consumers to dealerships, while entertaining its dealers through hospitalities at the events it sponsors. For more information visit http://www.parts-unlimited.com/. Visit http://www.parts-unlimited.com/ for more information. K&N Air Filters were originally developed for the extreme demands of Off-Road Racing. With nearly 50 years of US manufacturing, K&N continues to make the original washable and reusable air filter. K&N builds Air Filters, Air Intake systems, Oil Filters, Fuel Filters, and Cabin Air Filters designed to enhance the performance of your vehicle and provide protection for critical systems. Visit https://www.knfilters.com/default.aspx?utm_source=AFT for more information. National Cycle is the Worldwide Leader in Windshield Technology™ for the powersports industry. As a pioneering developer of Quantum® hard coated polycarbonate, quick release systems, and a wide range of patented innovations, National Cycle makes products for the way you ride. Whether you have a vintage bike, the newest sport-tourer, or an off-road vehicle, look for wind protection and riding comfort from National Cycle – the Windshield Experts. 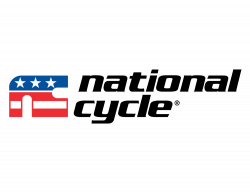 All National Cycle products are made in the U.S.A.
Visit https://www.nationalcycle.com for more information. Energy. Ecology. Efficiency. Our Company focuses on improving the ignition of fuel inside the combustion chamber of your car, truck or small engine. We realized that the key to an industry breakthrough would not come from exotic metals such as platinum or iridium, but rather from a completely NEW electrode design. Starting at our own laboratories, we then tested our designs at two leading engineering universities, assisted by top professors in the field of combustion and engine dynamics. From that research, we decided to ditch the antiquated “J-wire” electrode and engineer our products to be fuel-efficient spark plugs that would ignite and completely burn the fuel/air mixture in the cylinder. After years of research and testing, we are proud to offer our customers the advanced DiamondFire design in our complete line of E3 spark plugs. Visit http://www.e3sparkplugs.com/ for more information. Visit http://www.e3sparkplugs.com/ for more information. Cometic Gasket, Inc., is a leading worldwide supplier of gaskets and engine sealing solutions for the Powersports, Automotive Performance, Original Equipment and Remanufactured Engine Industries. Housed in a 70,000 square-foot, state-of-the-art R&D and manufacturing center in Concord, Ohio, Cometic Gasket has maintained its deep roots in the powersports industry while expanding to service the Domestic Automotive, Sport Compact, V-twin, Marine, Diesel, Agricultural, Industrial and Stationary Power markets. Today, Cometic Gasket offers over 85,000 SKUs, shipping gaskets and engine sealing solutions across the globe. Cometic is dedicated to customer satisfaction and provides quality products, delivered on time at a competitive price, designed for each customer’s specific application. Cometic gaskets are the industry standard for championship-winning teams across multiple disciplines of both professional and amateur motorsports. For more information about Cometic, visit www.cometic.com. Visit http://www.cometic.com/ for more information. 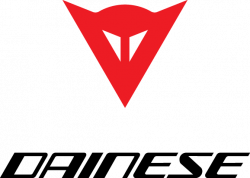 Established in 1975 and headquartered in Southern California, Oakley is one of the leading product design and sport performance brands in the world. The holder of more than 600 patents, Oakley is a culture of creators, inventors, idealists and scientists obsessed with using design and innovation to create products and experiences that inspire greatness. This philosophy has made Oakley one of the most iconic and inimitable brands on the market, with products that world-class athletes around the globe depend on to compete at the highest level possible. Oakley is known for its High Definition Optics®, which feature unparalleled optical clarity and precision along with impact resistance and UV protection, incorporated into all of the brand’s sun, prescription eyewear and premium goggles. Oakley extended its position as the world’s leading sports eyewear brand into apparel and accessories. Oakley has men’s and women’s product lines that appeal to Sports Performance, Active and Lifestyle consumers. Oakley is a subsidiary of Luxottica Group. Additional information is available at www.oakley.com. Visit http://www.oakley.com/ for more information. Öhlins USA is the North American distributor and principal service center of the world’s-leading performance suspension components for motor vehicles, from two to four wheels. Öhlins suspension components transform a vehicle’s performance more than any other modification, improving acceleration, handling, and braking in every condition and extreme. Öhlins USA specializes in the technology of fun. Visit http://www.ohlins.com/ for more information. Motion Pro was founded in 1984 by 6-day ISDT gold medal winner, Christopher Carter. The brand has been involved in motorsports since it was founded, proudly supporting both professional and amateur riders. While Motion Pro has its roots in dirt track, they also support off-road, supercross, motocross, ATV, and various other disciplines. As we step into a new, golden era of American Flat Track racing, Motion Pro will continue to expand its line of versatile, unique and durable products for professional and at-home use. Motion Pro designs and manufactures the best cables, tools and controls in the powersports industry, period. Visit https://www.motionpro.com/ for more information. Visit https://www.motionpro.com/ for more information. Visit https://rekluse.com/ for more information. Headquartered in Virginia, Full Spectrum Power builds the worlds best lithium powersports batteries. Built with a focus on quality and performance, our Pulse IPT batteries are designed to fit the needs of our friends and customers. Advanced Battery Management electronics, multi-mount terminals, and direct fit case sizes, make the Pulse IPT the best battery available. With a decade of leadership in the lithium battery industry, Full Spectrum Power produces UNDOT approved lithium batteries, with direct fitment for all modern powersports vehicles, from 50cc scooters, to American V-Twins, Side by sides, and everything in between. For more information, visit us at www.fullspectrumpower.com. Visit https://www.fullspectrumpower.com/ for more information. Born over 75 years ago from the passion for racing, Wiseco is a world leader in manufacturing high-performance, forged pistons for the motorcycle, automotive, ATV, snowmobile, personal watercraft, and outboard marine markets. The Wiseco crew shares the same level of dedication to motorsports as their customers and are focused on continually refining the quality and practices it takes to exceed expectations. Engineered, forged, and machined on cutting-edge equipment in the U.S. at Wiseco’s Mentor, Ohio manufacturing facility, Wiseco pistons are the undisputed leader in quality and performance. Wiseco Performance Products, built for racers, by racers. Visit http://www.wiseco.com for more information. Visit http://www.sbs.dk/forretningsomraader/friction-motorcykel.aspx/ for more information. Whelen designs and manufactures reliable and powerful warning lights, white illumination lighting, sirens, controllers, and high-powered warning systems for Automotive, Aviation, and Mass Notification industries worldwide. Every part of every Whelen product is proudly designed and manufactured in America and is tested on-site to meet the toughest industry certifications. On the road, in the air, and around the world, Whelen is trusted to be seen, trusted to be heard, trusted to perform. Visit http://www.whelen.com/index.php for more information. Thom Duma Jewelers, a family owned and operated jewelry store located in Warren, Ohio has thrived on building relationships within its community and celebrating trust with its customers. As a former racer and current partner of the GNC family, TDFJ CEO Tommy Duma has a special place in his heart for the sport of motorcycle racing & tries at ‘every turn’ to give back to the sport. TDFJ wants to be your jeweler! From watches to engagement rings to fashion jewelry as well as racing jewelry, custom making racers number pendants and hotshoe charms. TDFJ has it all. Shop online at tdfj.com! Visit http://www.tdfj.com for more information. Visit http://www.511tactical.com for more information. Eliminating injuries, saving time & money, and avoiding equipment damage has been NO RAMP Trailer’s focus in equipment transportation since its founding in 2009. By eliminating the need for heavy ramps that contribute to stress, injury and hassle, NO RAMP Trailers delivers the safest means of transporting heavy equipment and/or motor vehicles. The simplistic design utilizes a full-length torsion axle(s) that rotates via hydraulic/electric assist pump and self-contained battery, thereby turning the entire deck of the trailer into the entire ramp of the trailer. With models offering load ranges of 2,000 lbs. to 15,000 lbs., NO RAMP Trailers are the safest and fastest means for transporting anything from a motorcycle to a scissor lift. Visit https://www.noramp.com/ for more information. Visit https://www.noramp.com/ for more information. The Rookies of '79 was established in 2009 by six veteran racers who joined the expert ranks of the Grand National Championship in 1979. In addition to CEO Charlie Roberts, the members making up the group are AMA Motorcycle Hall of Famers Scott Parker, Wayne Rainey, and Ronnie Jones as well as American Flat Track official partner Tommy Duma and major supporters Jackie Mitchell and Johnny Wincewicz. Merchandise sales at all 18 AFT Events, donations and online purchases of Flat Track Memorabilia through Weekly Auctions have allowed The Rookie Class of '79 to provide support to several Pro Flat Track competitors in recent seasons, including Brad Baker, Jared Mees, Nichole Mees, Stevie Bonsey, Jeffrey Carver, Jr., Chad Cose, and many more. Mobile View, LLC has been in business since 1999 providing state-of-the-art portable LED video screens to events throughout the US and Canada. Mobile View is a consultant first, enabling an objective pairing of event and technology, and providing on-site determination of the event logistics and product needs. 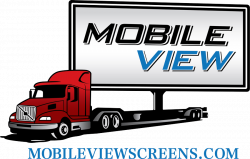 For more information about Mobile View, please visit http://www.mobileviewscreens.com. Visit http://www.mobileviewscreens.com for more information. SuperGen Products is a premier supplier of Champion Power Equipment. Champion Power Equipment is a market leader in power generation equipment. Champion has years of experience providing dependable and durable power products designed and engineered in the US for the North American and world markets. For home, work or play, Champion products are the standard of performance excellence. We make the power that makes your life easier. Learn more at www.supergenproducts.com. Visit https://www.supergenproducts.com/ for more information. Visit https://engineice.com/ for more information.